At the end of my Superman run, DC Comics and I began talking about what I might do next for them. When they first pitched me the idea of a Chinese Super-Man, I said NO. Superman is all about Truth, Justice, and the American Way. What does that mean in the context of modern China? There were so many complexities, both political and cultural. I just didn’t think I could handle it. But then I flew down to DC Comics’ Burbank offices for a series of meetings. One was with Jim Lee, DC’s Co-Publisher and the originator of the Chinese Super-Man idea. Another was with Geoff Johns, the mastermind behind DC’s Rebirth relaunch. By the end, I began to hear a teenage Chinese Super-Man’s voice in my head. If you’re a writer, you know that when this happens, you just have to roll with it. 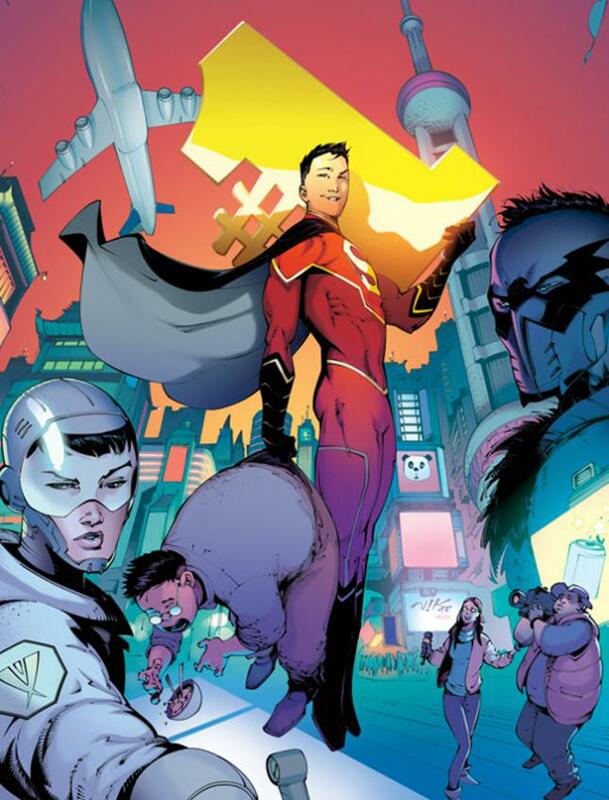 The result is New Super-Man, a monthly series about Kong Kenan, a 17-year-old kid in Shanghai who inherits Clark Kent’s powers. The art by Viktor Bogdanovic, Richard Friend, and Hi-Fi Color is vibrant and fun. Hope you’ll check it out!